In 1997, Mr. Nobuo Abe, a bartender of “Hotel New Otani Tokyo” at that time, made the sake cocktail with an image of “Takashimizu”, and it was named “Shimizu-No-Mai”. During that time, Takashimizu was seeking the brand name for their new item. Since the impression of his cocktail matched well with the image of our new item, we asked him for letting us use the name of “Shimizu-no-mai” as our new brand name. He willingly agreed to this proposal and since then, “Shimizu-no-mai” became the new brand of Takashimizu Brewery. “Shimizu-no-mai” literally means “dance of spring water”. As a Takashimizu’s new brand, Shimizu-no-mai became known among people and has been loved. 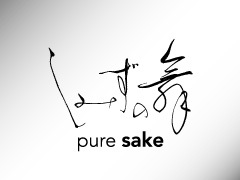 From 2009, “Shimizu-No-Mai Pure Series” were started its distribution in the US as a US only brand, and currently, six kinds of our sake are purchasable and enjoyed by people in the US widely.